Lollapalooza 2014 is a week away. One week! How did that happen?! This summer has seriously flown by. 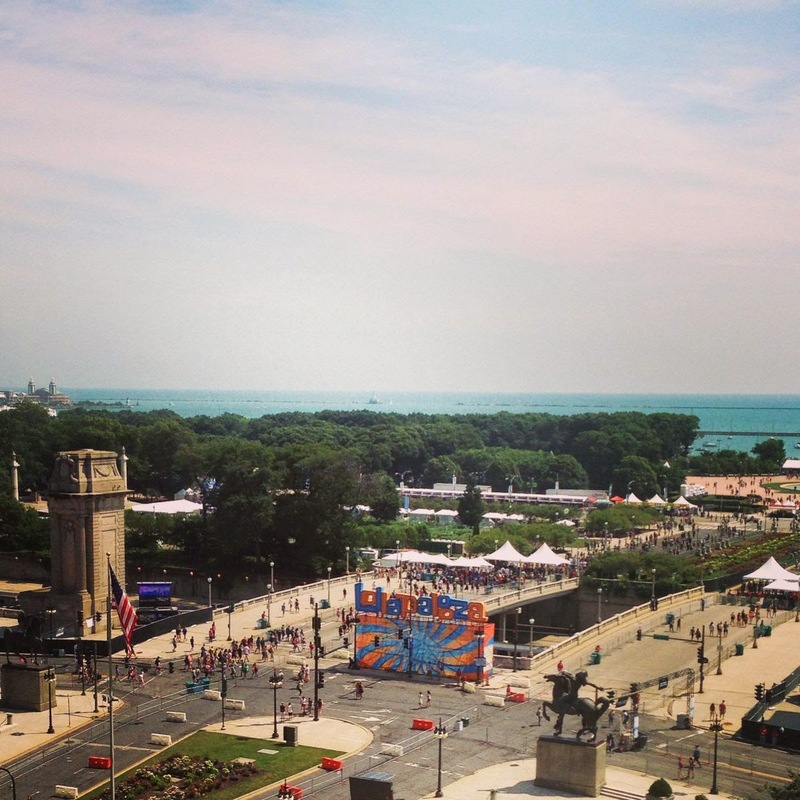 Last year was my first trip to Lollapalooza in Chicago. I wasn't at all sure what to expect, so in preparation I googled to see what people recommended you pack and wear. And, in my opinion, some of what these people were listing was ridiculous... The most bizarre items included a tiny silver studded fanny pack, a giant wide brimmed straw hat, self-tanner, and a fancy dress. Now, I'm not really a fancy dresser to begin with, but since you're literally walking, standing, dancing, jumping and sweating outside for 12 hours I didn't think my favorite sundress was the best option. 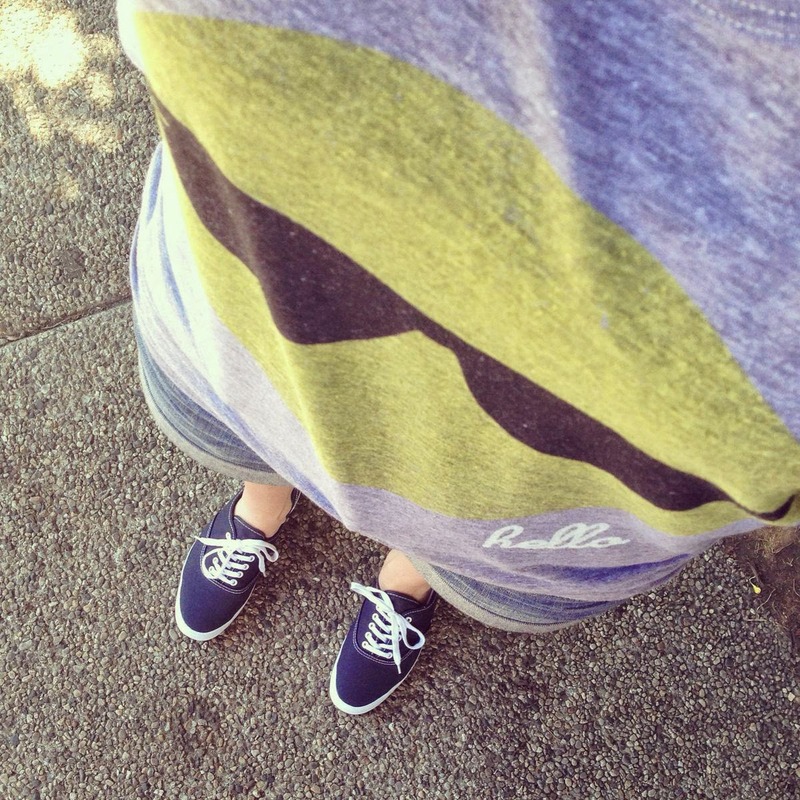 I dressed in jean shorts & tank tops. Sure, some of the girls looked super cute in their fancy outfits. I felt it made more sense to be practical since the objective of Lolla is to see as many awesome bands as you can. Back to back to back to back concerts. It's not a fashion show. I did make the mistake of thinking that I could wear hard-bottomed sandals the whole weekend. Hahahaha - so funny! I ended up running out to the closest shoe store on the morning of day two to pick up some tennis shoes. Steven tried to warn me, but I'm a sandals girl. I thought I would be fine. I picked up another pair of tennis shoes this year. I'm taking both. So I'm dressed, comfortably, now what do I need to take into the festival with me? Last year I pulled out my college backpack and went through the weekend in my head, thinking about what I might need or want. I shower at night, so when I get up each morning I just have to freshen up, get dressed & apply sunscreen. Then I grab my bag and head to the park! This year I bought a large cross-body bag to use instead of my backpack, for a couple reasons. The backpack itself weighs like five pounds without anything in it, my back got sweaty, I wished I could have switched between my shoulders. So I'll have the same items in my new bag. We got cash at our bank ahead of time to avoid long ATM lines or extra fees. 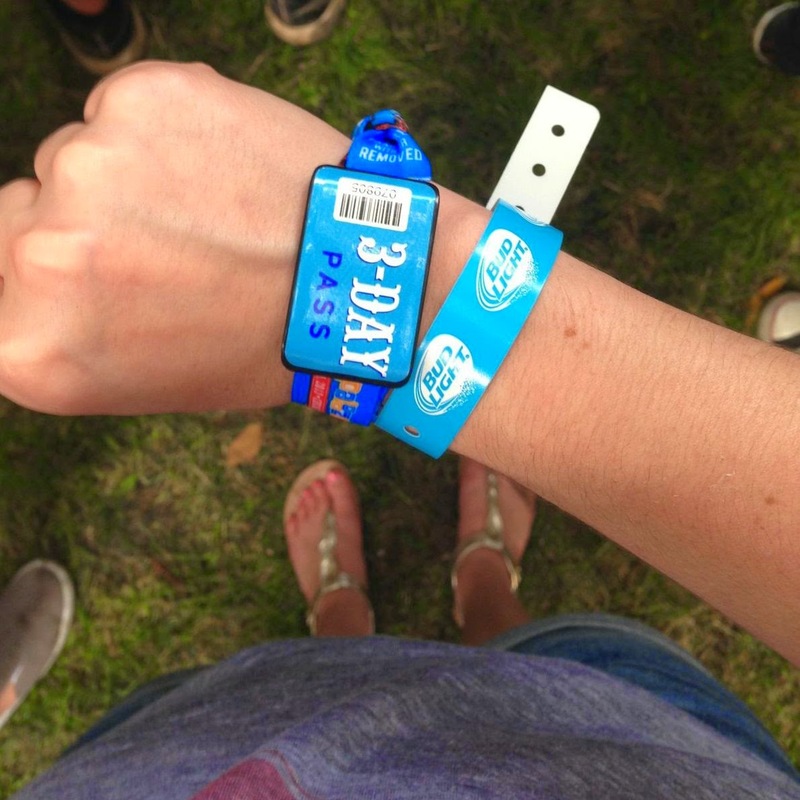 This year, you can load your wristband with a credit or debit card ahead of time and use that to pay for everything. I'm still going to go the cash route this year. If you're looking for more on what to pack, this article is actually pretty good for a first-timer. I used it last year to help pack my bag. 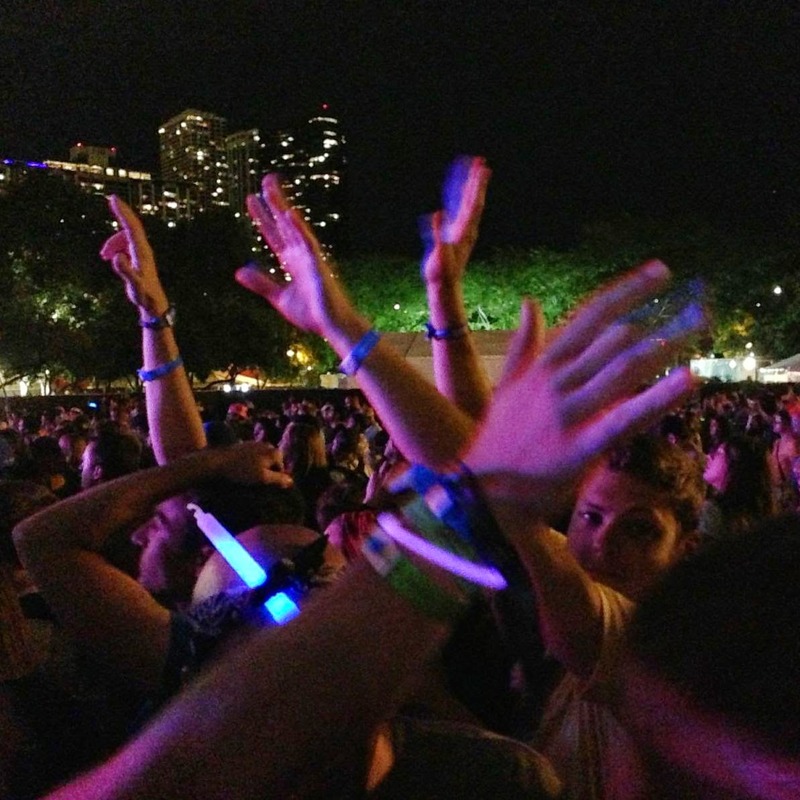 And this Lolla FAQ page has a list of items that the festival allows and prohibits. So, my festival bag is packed and ready to go, just need to get my clothes packed up and into the Lolla mindset!